The Medicare program (formerly called the EPC - Enhanced Primary Care Plan) is overseen by your GP who may refer you to an Osteopath or Exercise Physiologist for chronic medical conditions (a condition with a duration of three months or more). This program allows a Medicare rebate for up to 5 treatment sessions per calendar year. Please speak to us or your GP should you require more information. If you have a Gold Card, DVA will pay for osteopathic services to meet your clinical needs. If you have a White Card, DVA will pay for osteopathic services if required for an accepted war or service caused injury or disease and if you are an allied veteran, you are eligible for treatment of war caused disabilities accepted by your home country. Please present your Gold or White DVA Health Card at the beginning of a consultation or before you receive treatment. We will assess your clinical need for osteopathic services, after taking into consideration any other related treatments you are receiving. We will then prepare a written care plan for the period of your care, and discuss it with you. We will provide you with a copy of the treatment record for your reference. You will not be required to pay for your treatment as we will bill DVA directly. WorkCover approved osteopaths are trained to treat injured workers within a compensation environment, with a focus on achieving a safe and durable return to work. 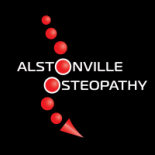 At Alstonville Osteopathy we can work alongside your GP and employer to provide appropriate care and rehabilitation.